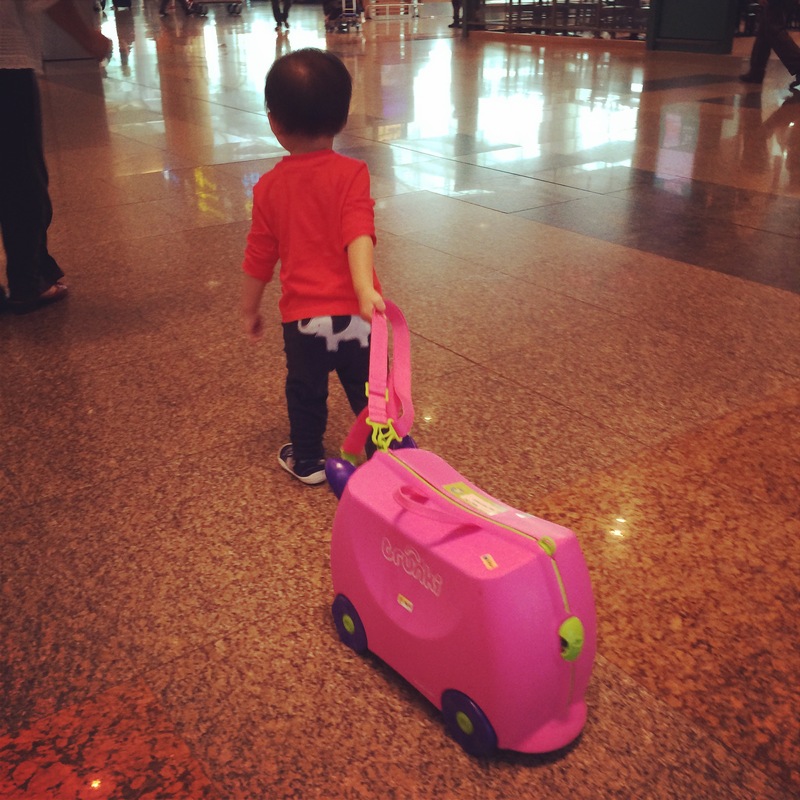 As the baby neared 2 years old, we wanted to bring him for a holiday that he would enjoy instead of somewhere where we would enjoy (ie shopping, eating). We searched online for many ideas, spoke to many mummy/daddy friends, coupled with the discount that Silkair was offering, we finally decided on the destination. Phuket. Not Patong beach though, but somewhere quieter with few people on the beach. It was also a plus point that the flight would take less than 2 hours. So Phuket, off we went! When we reached the hotel which was about 20-30mins drive from the airport, we were greeted pleasantly by their staff there. They even gave a little toy to Riley as a welcome gift. The adults got a drinks apparently made from flowers. We were briefed on all the things we could do at the resort. The resort was on large land space but only about 3 storeys high. We were then brought to our room by the porter. This is our room! We took a pool access room. Once we opened the curtains and Riley saw the pool, he literally wanted to jump in. It was a good thing that there was a shallow portion of it maybe meant for kids to play or for adults to lounge in. Note though, this is not a private pool. It is linked to adjacent rooms. However, less people (practically none) swim in it as compared to the main pool. Reason? The water was SUPER cold! Riley would still insist he goes in there at least once a day though. He would be happy just sitting on the first step and splashing at the COLD water. Next time we come to this hotel, we would choose a garden access one instead, which is closer to the main pool and beach. And so we do not have to be in the cold water with him. (hee…) The hotel room is not carpeted. Pros is that it is clean and not sandy. Cons is it can be slippery with water. So we had to make sure the floor is always kept dry for the toddler. There is no bath tub for the bath room. 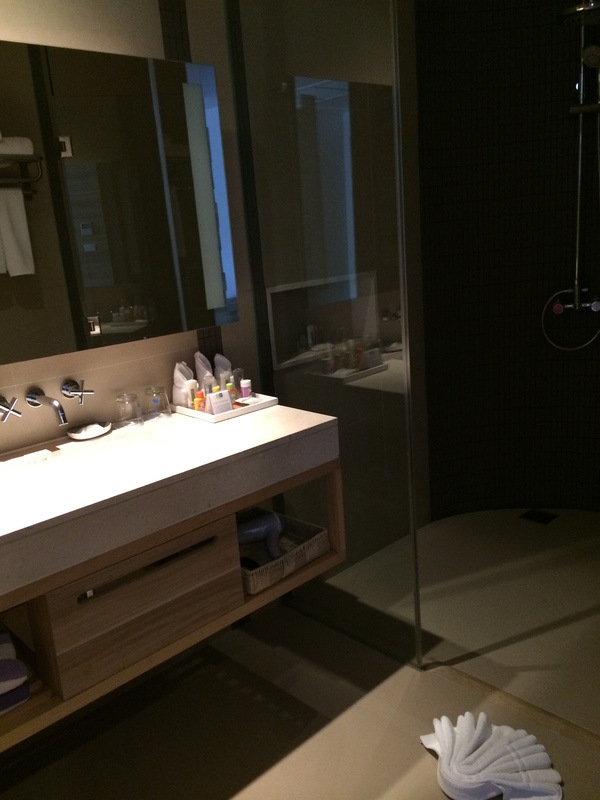 However, there is a large shower area with a rain shower and the toilet bowl is in a separate room. Here, you can also see how the pools of the pool access rooms link to each other. They do not link to the main pool. 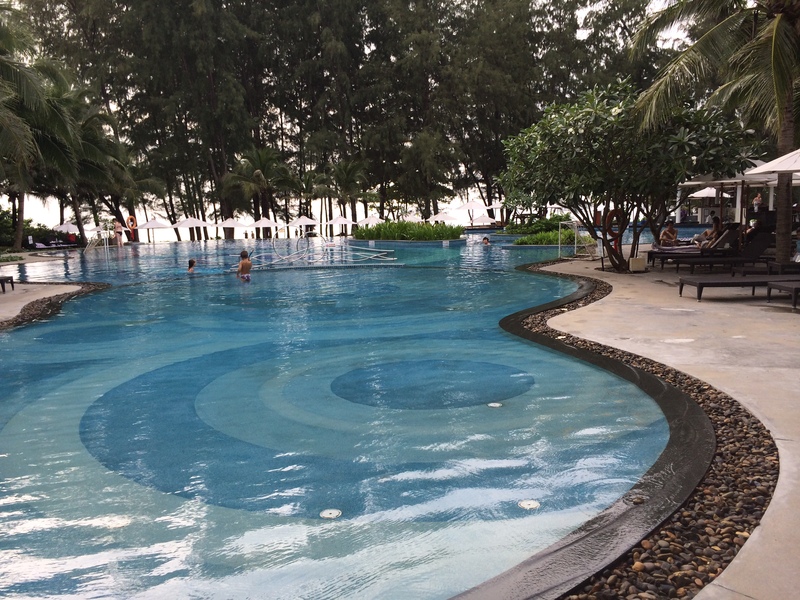 This is the main pool which is next to the beach. The front part of the photo shows the large, shallow toddlers area which is a gradual slope from 0m to 0.50m. Further back is the deeper pool which is at the maximum 1.40m deep. Many older children swim there too. There is a small pool bar by the side that serves 1-for-1 drinks from 5-7pm everyday. Even drinks like coke and smoothies are 1-for-1! Needless to say, we spent quite a lot of our time in this pool. 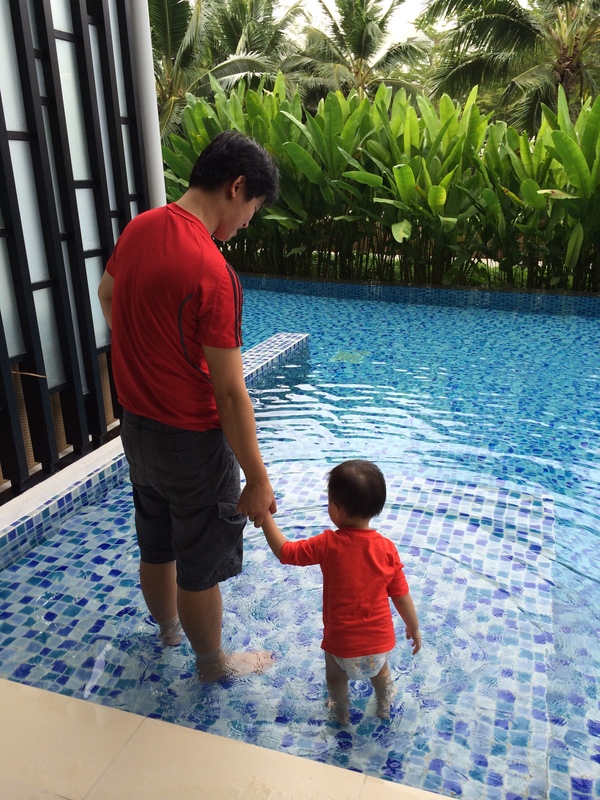 In the late mornings, the sun comes into the toddlers pool area which makes it warm for the kids. However, just remember to put on sunblock for both the kids and the parents. If you want a cooler and shaded area, the adult pool is partly in the shade. There are shallow areas there for kids play too but you have to keep a close watch as the shallow portion could dip into the 1.40m depth. Next up is the beach! The good thing about this hotel is that the beach connects right to the hotel! From our room which I consider it far from the beach, is about 3-5 mins walk. From the main swimming pool, it is about 1 min walk? This photo was taken at about 9-10am in the morning. As you can see, there are shaded portions of the beach and we were really thankful for that! Number of people is really little as well, most of which are families with little children. The sand is very clean with no litter at all. And water is very clear. In case you didn’t bring your own, you can borrow a beach mat from the counter that you get the pool towels from. One thing to note though is that there is dip in the water and it is especially close to shore when it is the low tide. (By the way, in this pic, it is low tide, with high tide at about 11-12nn) The dip is from legs-waist height to about shoulder height. Got to watch out for kids wading in. This is the restaurant where we had our breakfast which was included in the hotel booking. It had an attached kids room that was only open for the kids for breakfast. 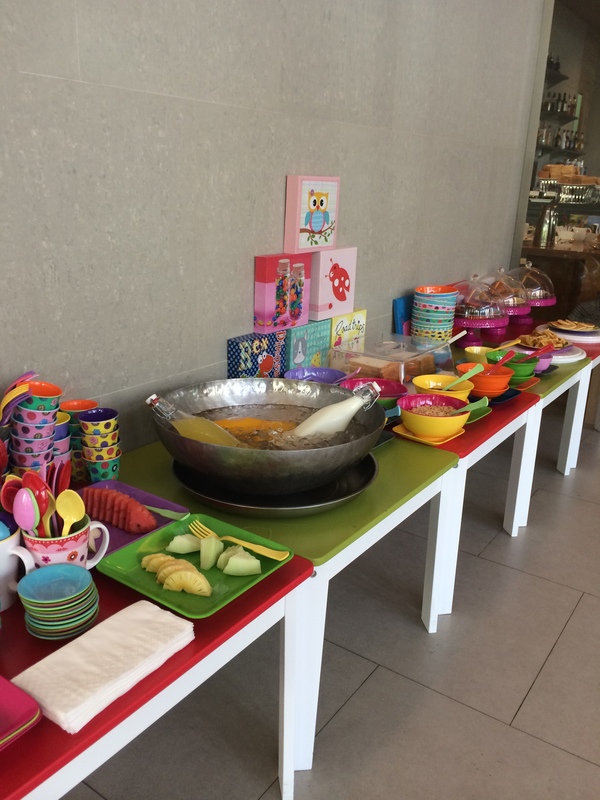 The kids also had their own spread of food. However, this portion was often infested with ants and flies, so we would take the food for Riley from the adult buffet. 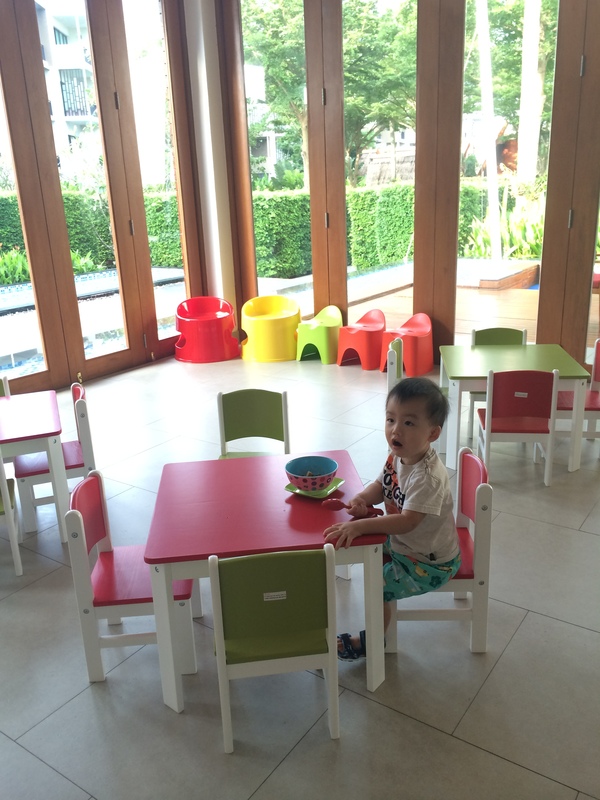 He enjoyed the little tables and chairs though, with the colourful utensils. He insisted that daddy and mummy sit at his table with him but the restaurant has a rule that only one adult can be inside with one kid. So we had no choice but to take turns to keep him company. There are 2 restaurants in the hotel. This, and another one next to the pool called Pesto. Both serve similar foods. Kids menu is exactly the same. However, Pesto focussed more on pasta and pizza and this one, called the J’s Restaurant had more local foods. Both places served pasta but the one at Pesto was much yummier. Kid’s meals are free with every adult main course ordered at the J’s restaurant. This offer does not apply at the Pesto. However, there is a live singer/band that entertains from 6pm every evening. There, you can see the beautiful sunset too. There is a nightly buffet dinner at the J’s restaurant. But if you do not like their buffet, you can always order ala-carte. Ala-carte prices are average about $15SGD. Bills can be charged to your room and paid with credit card later on. So you can go cashless your entire stay. But too bad we didn’t know about this so we hadd to use up our baht. 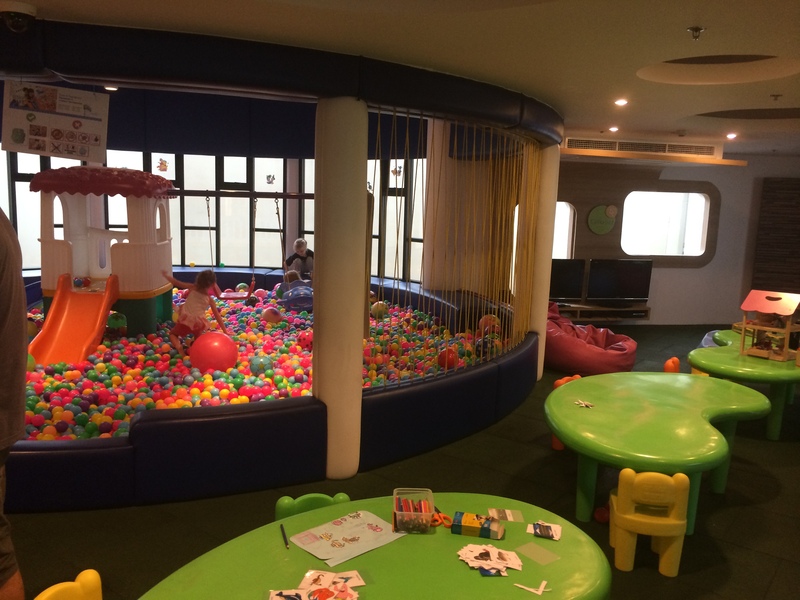 This is the Kids’ Club at the hotel, located next to the spa. (By the way, we didn’t visit the spa at all. Bookings are usually full for the day, so it would be good to make bookings for any spa service at least 1 day in advance) We spent a lot of time at the Kids’ Club too. This was part of the reason why we chose this hotel. It is full of places to entertain the kids. At the Kids’ Club, they hold planned activities everyday. Some examples are face painting, balloon making, etc. And these are free! You can also pay for some activities like the batik painting. You can literally spend the whole day there. 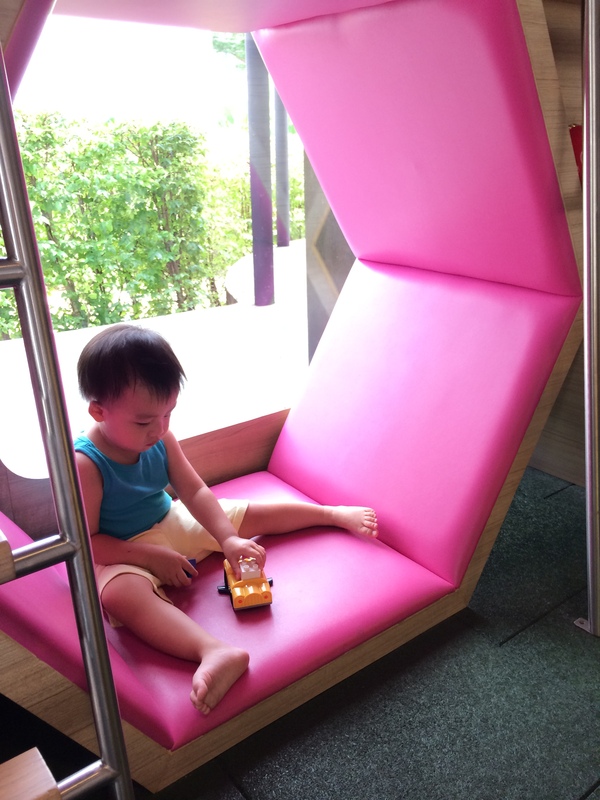 Even without the planned activities, kids are entertained by colouring, reading, ball pit, slide, other toys by the side (eg. 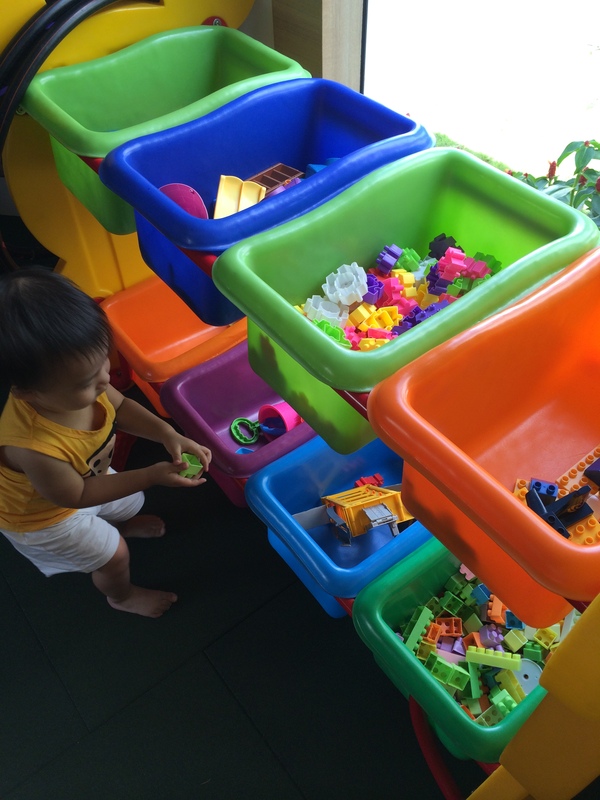 blocks, doll-house, wooden tool box, etc), Electronic games like Wii, watching Cartoon network on TV etc. Parents can leave their kids there the entire day if they are above 4 to be cared for by the staff. Our typical day at the hotel is like this. 8am breakfast, 9am beach, 10am pool, 11am shower and rest, 12nn lunch, 1pm nap and rest in room, 4pm Kids’ Club, 6pm dinner, 7pm Kids’ Club again, 8pm Sleep. For late sleepers, there is twice a week where they will screen movies outdoors in the garden. Take note to bring your mosquito patches/repellents though, if you intend to be outdoors when it is dark. Hi, thanks for your detailed write-up. We are thinking of bringing our kids there. but our concern is the food they serve. Can i check if they serve non spicy soupy noodles, fried rice or even singapore style chicken rice or porridge? Hi There, Thanks for the detailed write up. we are planning to bringing our kid to the resort in April. My only concern is there any hotels are restaurants near by the hotel. Since we are planning for a week and it will be boring to have in the resort all the time. and we don’t want travel long distance only for this! Hi vijay. There is a small coffee shop and a small mini mart next to the hotel. Other than these, there is nothing else. You can spend a day or 2 to travel to the main area but the shuttle bus ride (which you have to pay for) takes about an hour. You can also take up full/half day tours where they will pick you up from the hotel to the respective venues. All prices are included in the packages. Can go island hopping etc. 🙂 have fun! Wow the Kids’ Club looks really fun! Thanks for sharing. We were considering going to Phuket recently, but changed our minds and went to Bangkok instead. 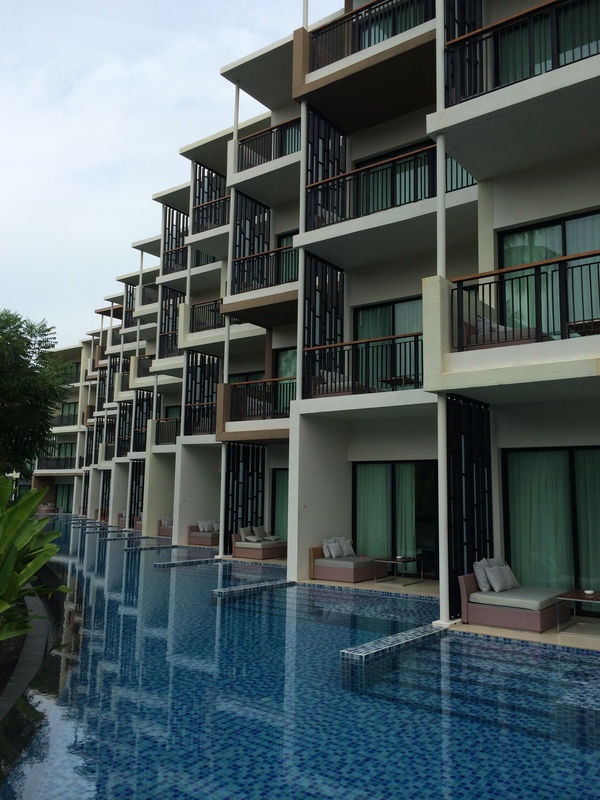 I like the pools at this hotel (from your photos), and will definitely consider it if we visit Phuket next time. Thanks for sharing! Love the amenities of the hotel and of course being close to the beach . 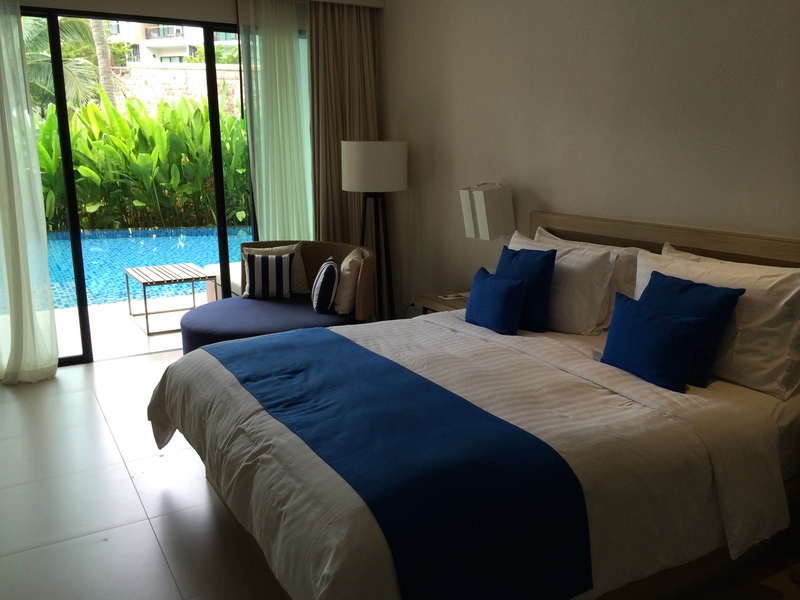 You can spend the day relaxing in the hotel without needing to travel out. WHOA that is such a great hotel location! The beach looks fantastic! Such a great way to escape the haze. The pool access rooms look awesome – something my kids would definitely love! But… not a fan of cold pool water at all. But I’m SURE my elder boy wouldn’t mind. Good location and great pool! My children would love the indoor play area! Looks like a self-contained hotel. And the Kid’s Club – i am sure my boys will approve! Thanks for sharing!